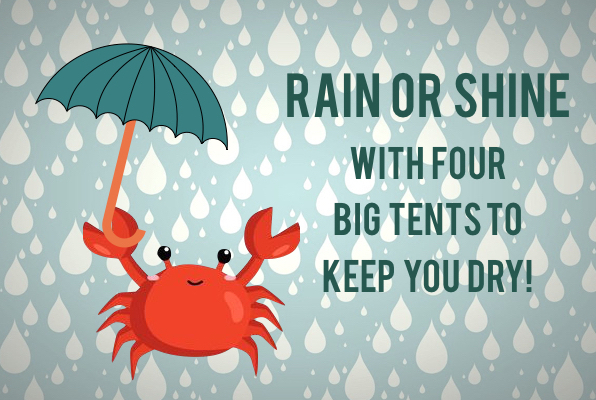 Rain or shine, we were ready with tents and ALL YOU CAN EAT Dungeness crab, garlic noodles, salad, iced tea! Plus special beer, wine, and housemade sangria pairings! A feast for all! We can't wait to crush crustaceans with you during next year's annual feast!